So… you’re saying you can’t escape what’s going to happen to you when you meet Nimue. There’s a thing about time and space which the philosopher Einstein is going to find out about. Some people call it destiny. Then if everything that happens is preordained, what is the point in trying to do anything? It’s not so much about what happens to you then about how you deal with what happens. Some years ago, when Disney seemed to be making direct-to-video sequels to all of their animated classics, I wondered why they didn’t make an animated sequel to The Sword in the Stone. The Arthurian story is an expansive one, T.H. White wrote four more books on the Matter of Britain, and The Sword in the Stone only takes the story as far as (roughly) Arthur’s coronation. Surely, I thought, there was fertile material for an animated sequel, perhaps one centered on Guinever once the Disney Princesses became a thing. Then the essential problem came to the fore — making Guinever a Disney Princess would present real challenges. Her relationship with Lancelot might not be family-friendly, for one thing. I eventually figured out how to solve the problem, but it was a solution that was only tangential to T.H. White’s work and Arthur’s story. If The Sword in the Stone was centered on destiny, The Sword in the Stone 2: Guinever’s Story would be centered on love. If the first film ended with Arthur’s coronation, the second film would end with Guinever’s wedding. The future would turn out okay. Guinever could be a Disney Princess. I doubt anyone was aware that anything was starting until it had started. Maybe it was inevitable. After all, our marriage was only a clause in a treaty with King Leodagrance. She adored her famous husband. Even if he was so old. You were only eight years older than her, scarcely on the verge of senility. Besides, she had nothing but respect for you, thought of you as her protector with gratitude, kindness, and love. Yes, everything except the passion of romance. That was the first failing. Then the absence of children. And finally, Lancelot. 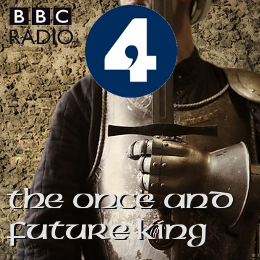 Several years into Arthur’s reign, in France Lancelot trains to become the greatest knight in the world in the hope of being worthy for Arthur’s court. A chance appearance by Merlin and his new bride, Nimue, sends Lancelot and his uncle (posing as his squire) to England so that Lancelot can join Arthur’s court. But there is already some history with Lancelot and Arthur’s court; he met the children of Morgause, in particular Gawaine, in his previous visit to England, and he harbors some resentment that Gawaine, whom he finds unworthy, has been knighted as part of the Round Table while he has not. He sets out for Camelot and, in England, he comes across a Black Knight whom he challenges to a joust. After unseating the Black Knight, Lancelot discovers the Black Knight is, in fact, Arthur (a callback to episode two, where the young Arthur tells Merlyn that his dream is to be the Black Knight so he can ride around and joust all day), and together they ride back to Camelot where Lancelot is introduced to Arthur’s queen, Guinever. She takes an instant dislike to Lancelot, finding him ugly and calling him a “self-righteous prick” with more “moral rectitude on display than the Archbishop of Canterbury” who “looks like a crushed cauliflower.” But fate has a way of working its mysteries, and before long Lancelot and Guinever have nicknames for each other, and when Arthur leaves Lancelot behind to protect the Queen while he goes to the Continent to deal with King Claudas, Arthur’s queen and his greatest knight give in to their passionate love for one another. “The Ill-Made Knight” is about the many ways that love, especially passionate love, ensnares people in the most unexpected ways and in ways that are not always for the best. “Blame love,” Merlyn says early on in the episode; “People do strange things for love.” Or Guinever, late in the episode: “I think sometimes — God forgive me, I shouldn’t say this because I know that if Arthur ever knew the truth it would break his great heart — but I feel as though our love, whatever you think it cost you, is a kind of miracle.” Merlyn knows that his love for Nimue will entrap him, literally, yet he loves her anyway. Arthur’s love (in different ways) for Guinever and Lancelot blinds him to the reality unfolding before him. Elaine’s passion for Lancelot, her rescuer, nearly shatters him when he discovers what she’s done out of her passion. Lancelot’s love for Guinever drives him from Camelot, and in so doing makes him powerful enemies, yet ultimately he can only give in to his passion, whatever the consequences. And Guinever’s passion for Lancelot brings her happiness, but it also drives her to the brink of despair when he leaves Camelot and, later, when he tries to justify his love for her. The characters are following their hearts, knowing in some cases that it will lead them to ruin and yet the follow their hearts anyway. As I said with the previous episode, “The Queen of Air and Darkness,” I have really come to love the rapport that Paul Ready and David Warner have as Arthur and Merlyn and I could listen to them do pretty much anything. Their role in “The Ill-Made Knight” is more limited than in previous episodes of The Once and Future King; except for one scene during Arthur’s reign before Merlyn is ensnared by the enchantress Nimue, their conversations are limited to sequences during the night before the battle of Camlann. As a consequence, they are more philosophical; Arthur is reflective and fretful, Merlyn is less allusive and more direct. By pushing them to the background, Lyndsey Marshal’s Guinever and Alex Waldmann’s Lancelot come to the fore. Though both have appeared in flashback in previous episodes, here we finally meet them as characters and they carry the dramatic weight in the episode. Waldmann is able to convey a Lancelot torn between his desire to be so godly and worthy a knight that he can work miracles and his desire for the queen, a desire that he knows is neither godly nor worthy. Marshal’s Guinever is regnal and confident, and a late scene where she confronts Lancelot over something he has done conveys truly conflicted feelings. It’s hard to lay blame on anyone in “The Ill-Made Knight” for what follows from love. Love is like a force of nature; unleashed, it is uncontrollable. What happens follows from heart’s desire and, as Merlyn says up top, the important thing is how one deals with what happens. And I think we shall see, over the next two episodes (I’m behind — one aired last week, the finale tomorrow), how love is the ruin of Arthur’s great dream. Great appraisal! Thank you! Some of what you comment on is THW, some is BS: if the two merged satisfactorily, I am very happy. Just for the record (only because such things CAN matter), Guenever described Lancelot as a “self-righteous PRIG”!